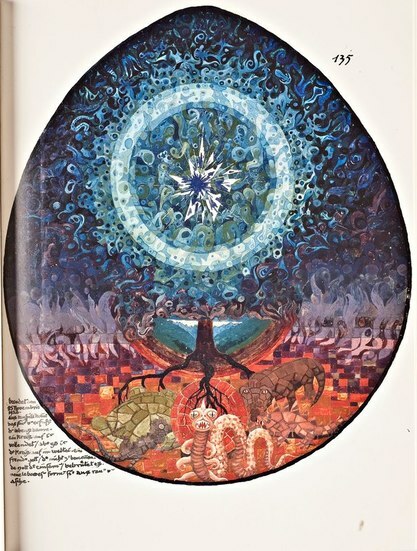 Between 1914-1930, Carl Jung embarked on an extended self-exploration he called his “confrontation with the unconscious.” As he wrestled with the challenges midlife presented him, he poured his dreams, thoughts and feelings into a large, illuminated volume. It was here, in The Red Book, that he came to develop his principle theories of the archetypes, the collective unconscious, and the process of individuation for which he was to become famous. The resulting book is a work of astonishing beauty, depth and meaning -the calligraphy and art on a par with the illuminated manuscripts of William Blake, and the writing thought provoking and profound. Our class will use the Red Book as the basis for exploring the pivotal ideas in Jungian Psychology- with journaling activities that reveal how the ideas relate to your own life. "The Red Book has totally shifted the way I see myself and my life. Not only do I have greater self-knowledge, but I found myself able to accept myself and others in a totally new way".